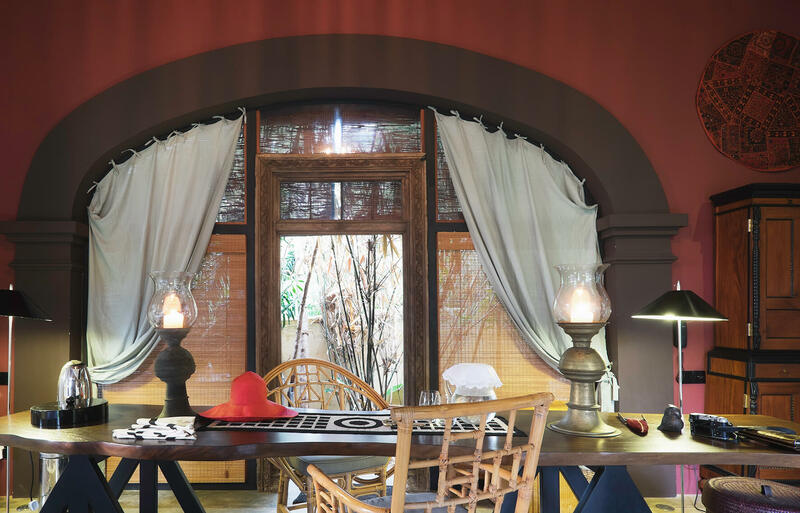 Villa Ambalama is a very original design house with one single purpose: to put guests in direct connection with nature. This rectangular shape house has all its 4 sides completely opened towards the luxurious tropical garden. 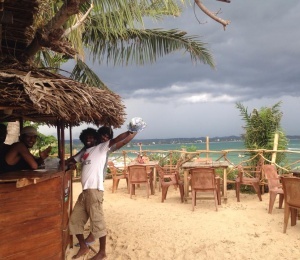 Just a few steps from the beach, you won't find any better location in Midigama! Important: Half Board can only be applied for full duration of stay. Weligama is a unique place. 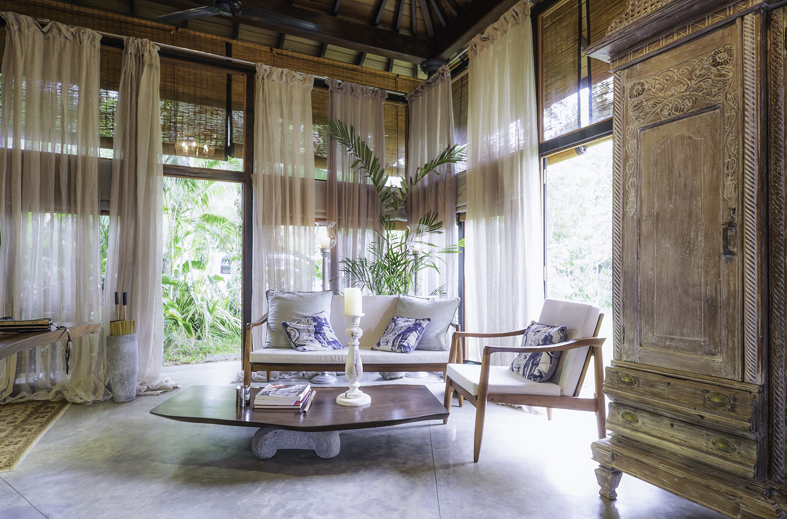 You'll find nothing but tranquillity all around you, clearly a place for mediation and relaxation. Even the waves are calm and smooth here! Weligama area has many fun beach breaks within close distance, some of them easily accessible on foot from Villa Ambalama Surf house. This has always been one of Sri Lanka’s top destinations, very much requested by beginners and intermediate surfers due to its long and smooth waves. Expert surfers also enjoy some good waves on scattered reef breaks. 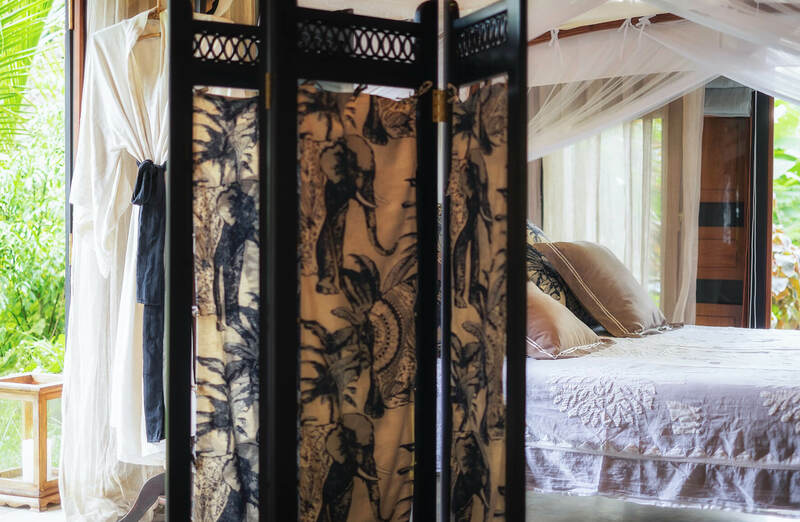 Our surf house is located in Weligama, close to both East and West coasts, which is one of the top reasons why this place is a consensual surf destination choice among couples or groups of friends. Here you'll find waves for all kinds of surfers! 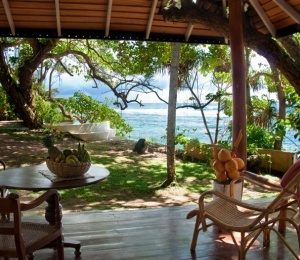 Weligama, in our language, means "sandy village" which can well describe the surroundings. What was once a fishing village, now Weligama opened to the world, being only 2 hours away from Colombo Airport Airport. The region offers much more than surf. You’ll be able to visit Natural Parks, ancient Temples and old forts featuring on the list of UNESCO’s World Heritage Sites, the famous Ceylon tea and coffee plantations and beautiful sandy beaches. 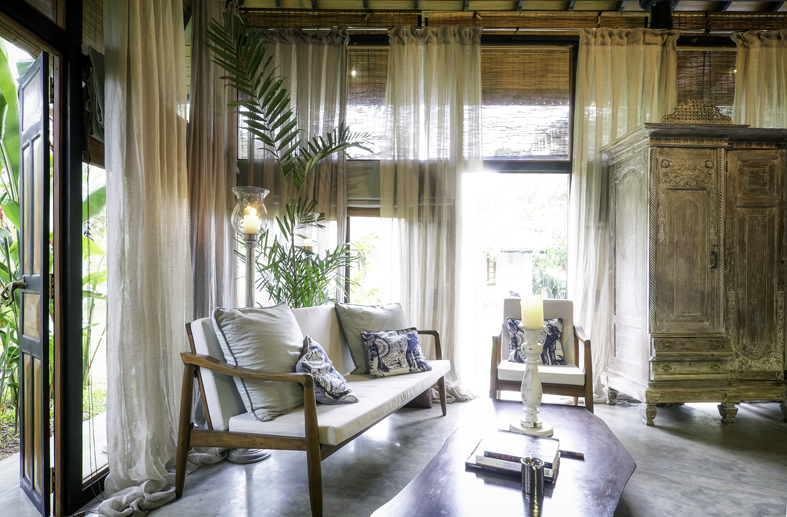 Villa Ambalama was designed to provide guests with a sense of being in the nature so we’ve used wood, stone and fabric elements in its interior design to match the surroundings, yet maintaining the highest quality and comfort for your holidays in Sri Lanka. This means for instance that you’ll have an air conditioning to make those warmer days more comfortable, but without TV so all you can listen is the nature embracing you. 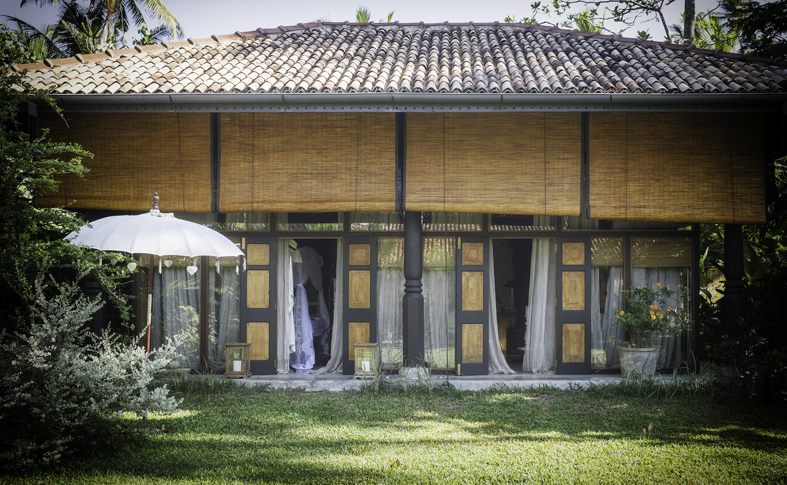 The bungalow has a rectangular shape with windows on all its 4 sides, inspired on the traditional Sri Lankan resting places. 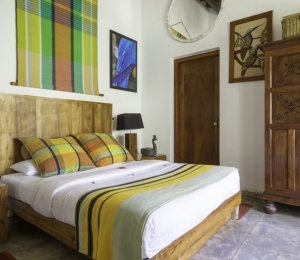 The house features an open space with large double bed with mosquito net, desk, sofa and plenty antiquarian stylish furniture. The house has an outdoor bathroom facing the amazing tropical garden. 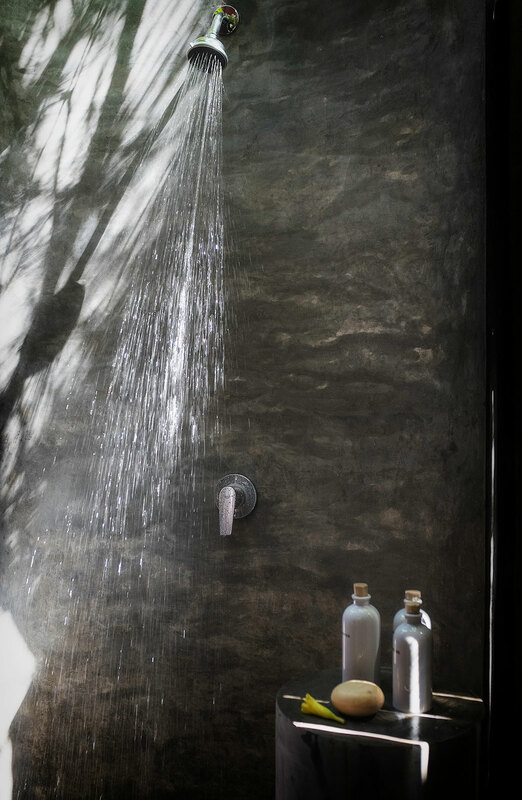 You'll feel that there's nothing more peaceful than taking a shower under the stars. The house is within walking from the beach, so literally you’ll be one minute away from the beach breaks. 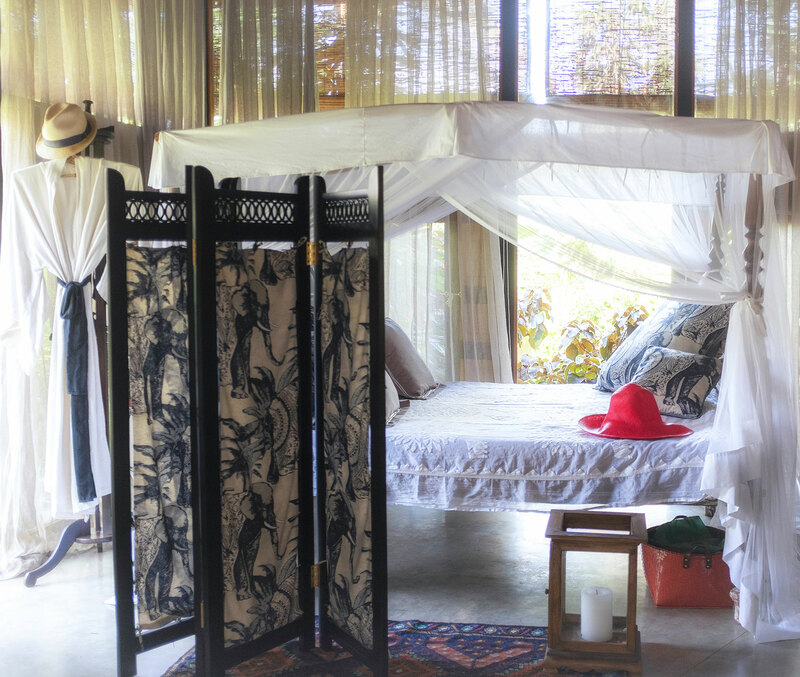 In our own language “Ambalama” refers to traditional Sri Lankan place where you rest. 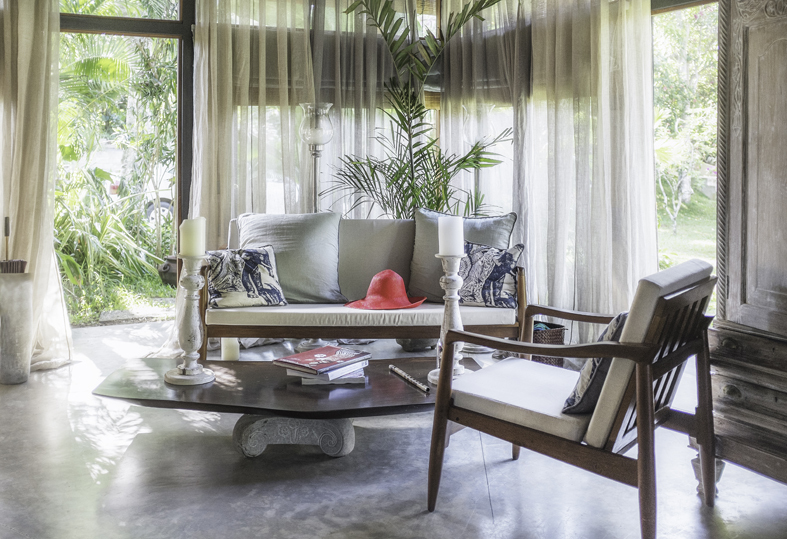 Villa Ambalama Surf House is the ideal place to get inspiration and relax overlooking the green garden, with bushes and tropical plants surrounding and at the same time giving you all the privacy you need. In the garden there’s a shaded dining table to enjoy your meals. This bungalow is a “best seller” for couples and honeymooners who’re looking to combine surf holidays with romantic evenings. 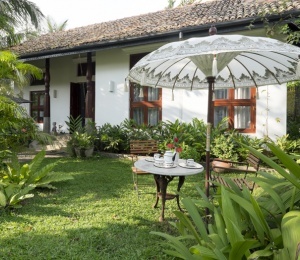 Weligama is one of Sri Lanka’s TOP surf destinations, and Villa Ambalama Surf House is in a privileged location, just in front of the beach breaks. This means that you’ll have priviledged access to Midigama's Crazy Left and many other top surf breaks in Weligama area. Despite its increasing popularity you'll find Weligama a very relaxed and laid back destination, free from the usual aggressive crowds you’ll find in Maldives or Indonesia. The best surf season in Weligama is usually between October and April, which also coincides with the Monsoon season. During this period you’ll have more consistency, stronger swells and offshore winds creating cleaner waves. The rest of the year this area is not blessed by offshore winds or stronger swells but you will still be able to find some decent waves. During the rest of the year you’ll also have swells coming but probably it might be more recommended to surf in the East coast close to Arugam Bay. Sri Lanka is known to offer all year round perfect for long boarders and beginners learning to surf. 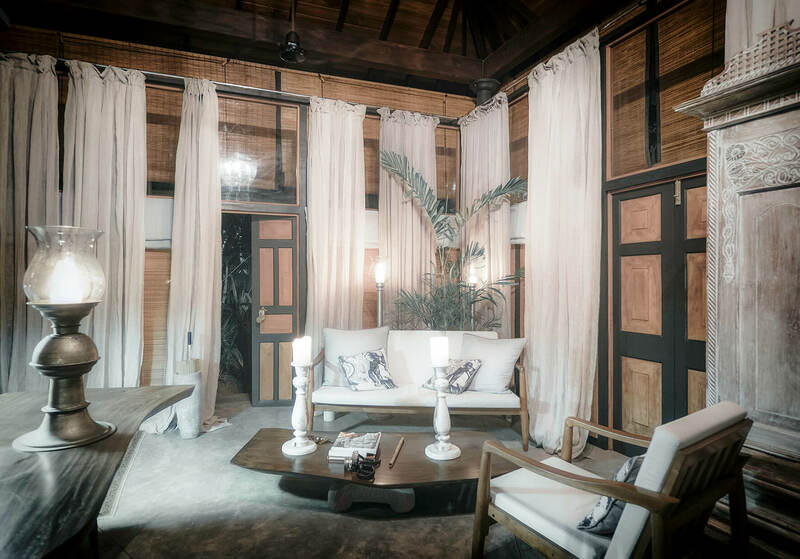 Nevertheless, our surf house is very much a best seller among experienced surfers that want to explore both the West and East coasts of Sri Lanka. Being a tropical country means that the water temperatures usually never drop the 26º C.
SURFINN © 19-04-2019 01:17:12. ALL RIGHTS RESERVED.